With the interests of families in 70 countries around the world at the heart of its work, the Army Families Federation’s need for a flagship magazine that engages, informs and entertains readers is obvious. So when the charity approached TylerBale for assistance in rejuvenating their existing publication – the AFF Journal – we jumped at the opportunity. 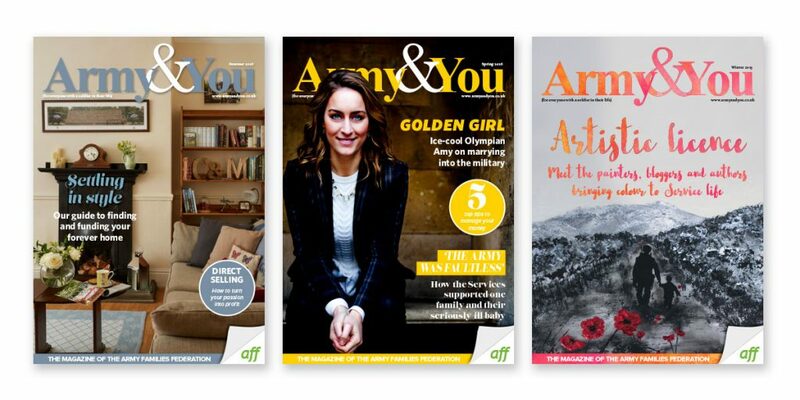 Rather than simply refreshing the existing title, we worked with the AFF to completely relaunch the magazine as Army&You, a full-colour, glossy quarterly featuring a lively mix of news, information, features and entertainment. The results speak for themselves. 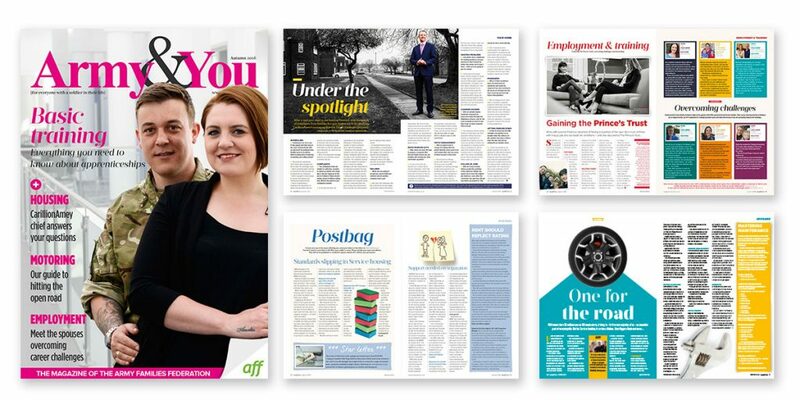 Subscriptions are up, advertising is buoyant and, most importantly, AFF has noted organisational benefits from the new title as more families become aware of its work and increasing numbers of external agencies engage with it. Although we are only contracted to publish the magazine, we donate our time each cycle to provide additional editorial services ranging from conducting interviews to writing features and sub-editing copy. Visit the Army&You website to see the results for yourself!